Travel contentedly in the latest Federate Men’s Pants. 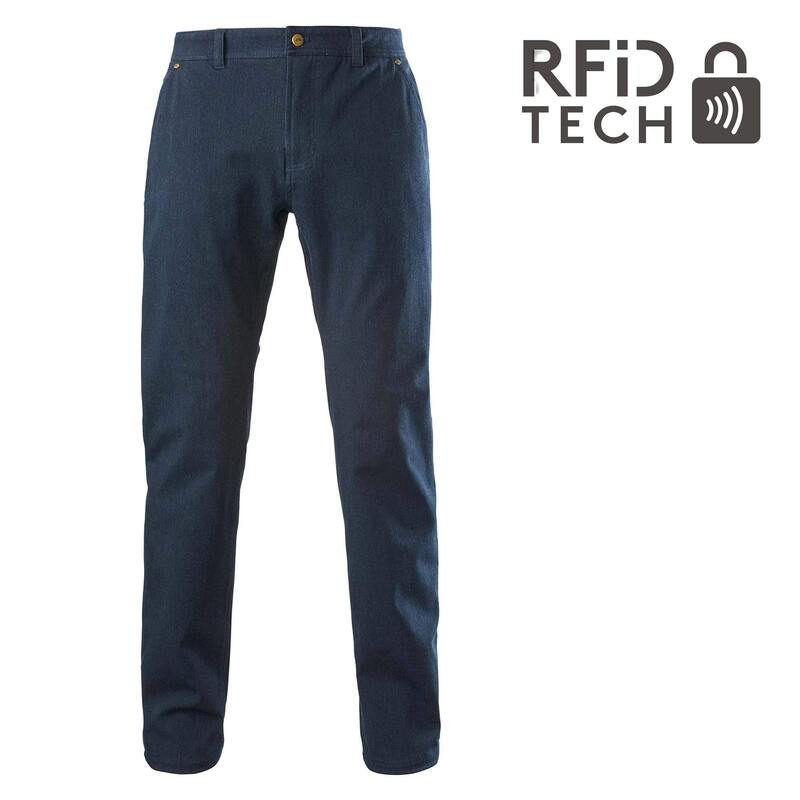 Incredibly comfy and durable, this pair of Federates have a key feature – a secure, washable RFIDtech pocket that will protect your passport and credit card info. With a water repellent finish so light rain won’t soak through, you’ll also enjoy the feel-good factor of wearing sustainable materials.